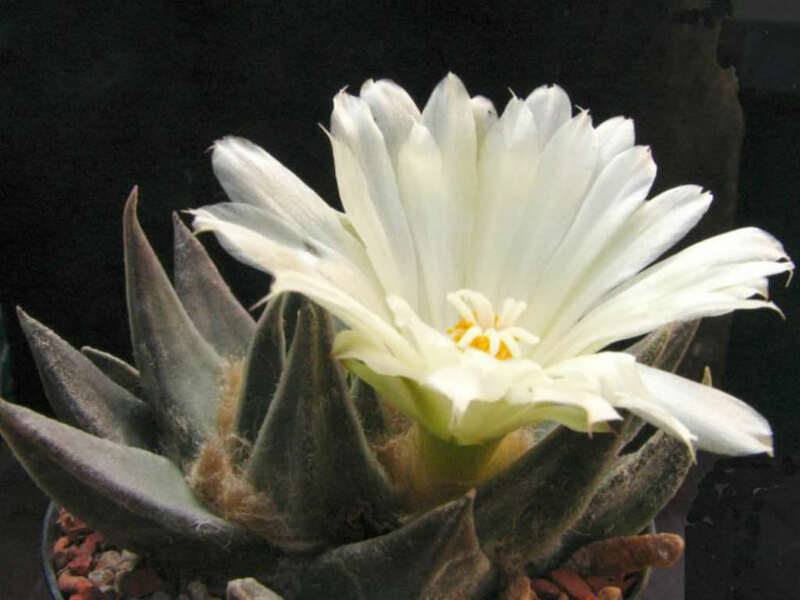 Ariocarpus retusus subsp. trigonus (F.A.C.Weber) E.F.Anderson & W.A.Fitz Maur. 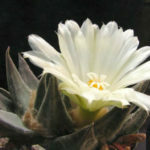 Ariocarpus retusus subsp. 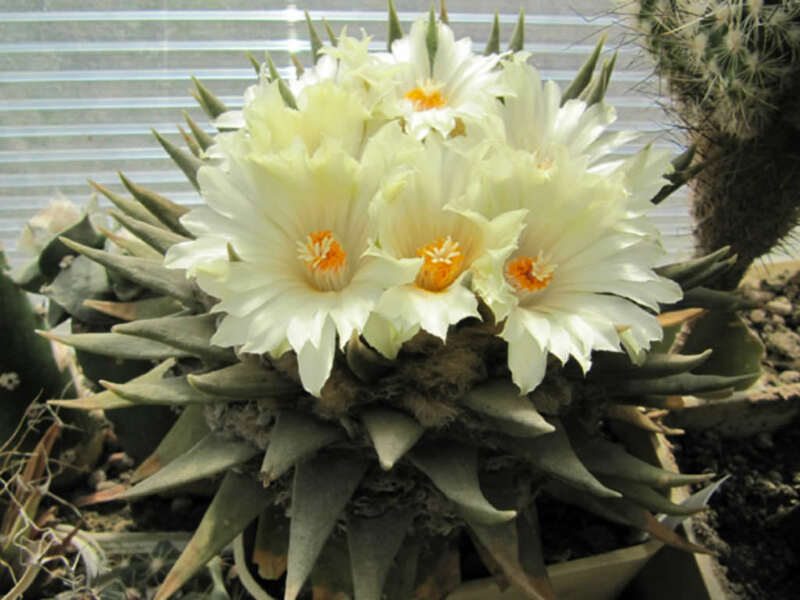 trigonus is a сolitary rosette-forming, geophytic cactus, rising slightly above ground level. The stem is globose, more or less depressed, rounded on top, mostly yellowish-green, up to 10 inches (25 cm) tall and up to 12 inches (30 cm) in diameter. 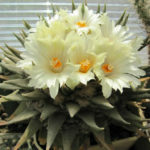 The flowers are cream-white to yellowish-white or yellow (occasionally with reddish mid-ribs) with a satin sheen, up to 1.8 inches (4 cm) long and up to 2 inches (5 cm) in diameter. Ariocarpus need a lot of sun. However, in hot, dry areas, they can be damaged by excessive sunlight, so you should either use a shadecloth to limit their sun, or move them out of the sun during the hottest hours of the day. In more temperate areas, direct sunlight is fine. 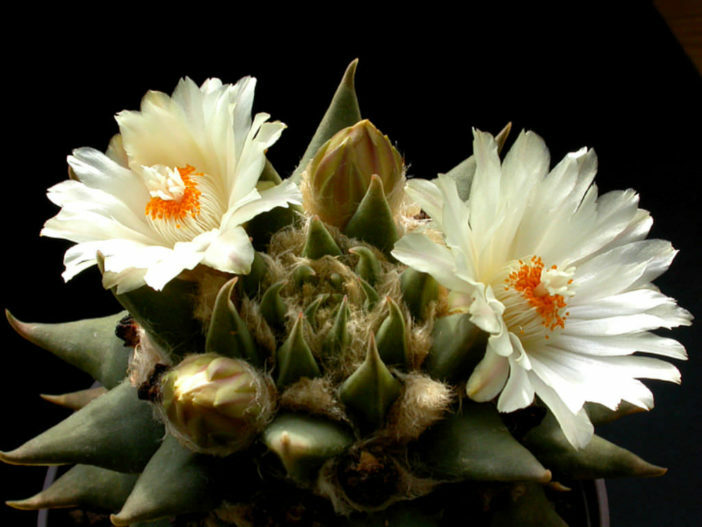 Ariocarpus plants prefer to be kept at room temperature or slightly lower, and in low humidity. 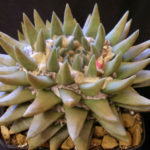 Water your Ariocarpus when it is dry, but then wait until the soil dries out completely to water it again. The amount of time this takes will vary depending on your climate, and the size of your pot if you use one. Remember, when dealing with any kind of cactus, watering too often is much worse than not watering enough. 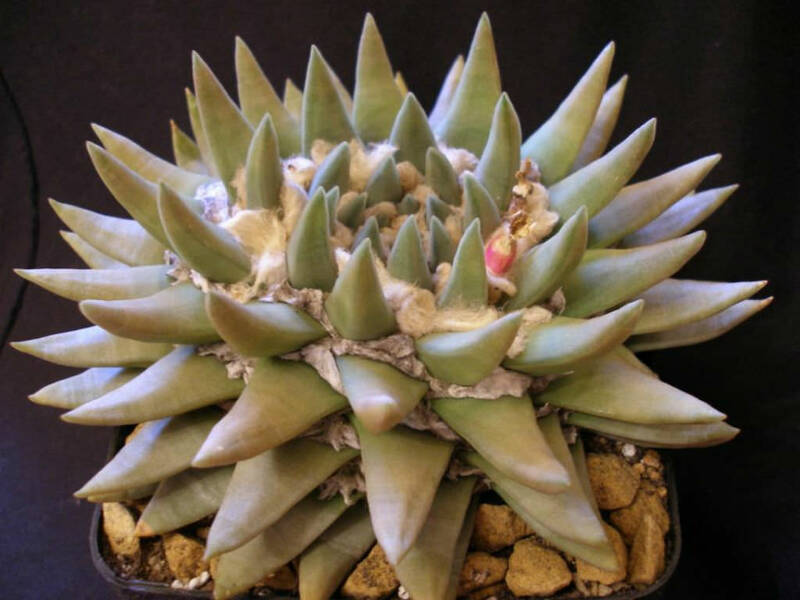 Do not water during winter… – See more at: How to Grow and Care for Ariocarpus. Native to Mexico (Tamaulipas, Nuevo Leon).